Anyone who knows me well will know that I’m very particular about how I dress – it’s very rare you will see me in anything that isn’t black, grey, leopard print, or (more occasionally) very bright tropical prints. 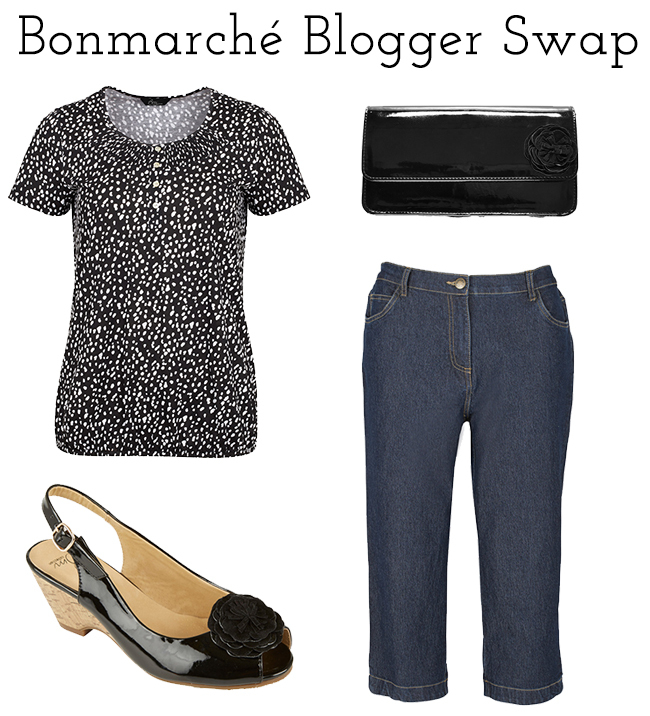 As such, it’s not really surprising for me to confess that when I was asked to take part in a blogger style swap with Bonmarché (#BMBloggerSwap), I was a little bit apprehensive to say the least! 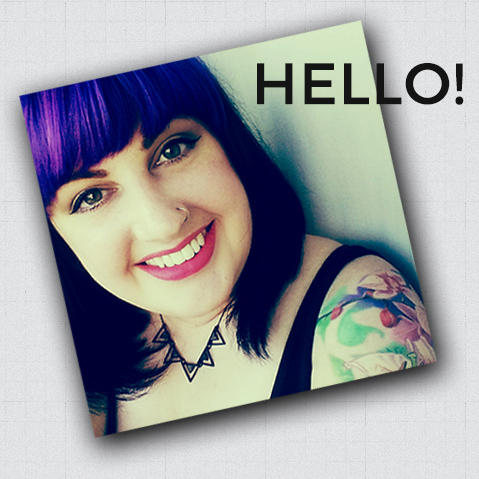 This particular challenge involved handing full fashion control over to another blogger (!) and letting them select an outfit for me. Thankfully I’d been matched with the lovely Yaya from My Dreamality, a complete stranger (!) who managed to put together an outfit for me that walks the line between something I’d choose for myself and way out of my comfort zone. When the first package arrived, I immediately sensed the kind of vibe Yaya had in mind. I mean, cropped denim, shiny slingbacks with cork effect wedges, a spotted shirt? 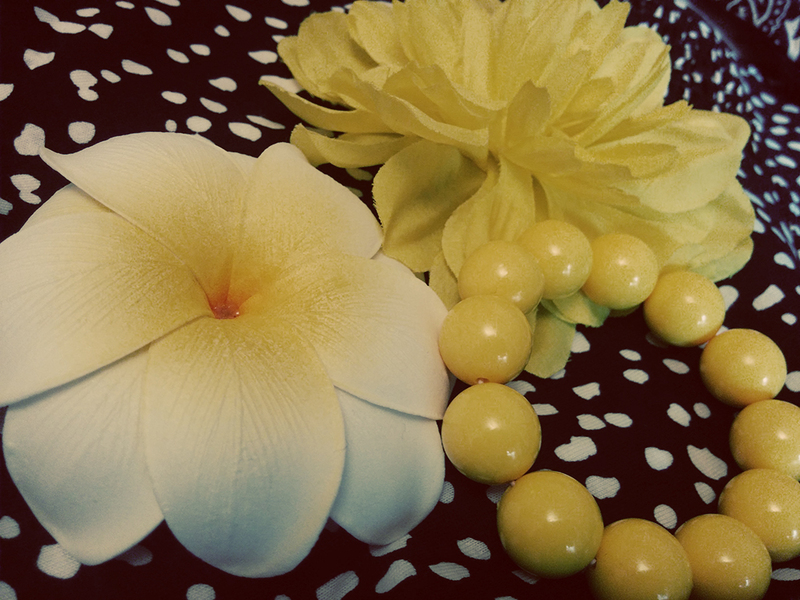 Summery, vintagey fun. I found the shirt to be a little shapeless on, but this is fixed with the addition of a wide elastic belt (mine is super old!) to nip it in a little and give the outfit a little more shape. The blue denim jeans are probably my least favourite part of this outfit, but I think part of that is just my grumpy gothy side sulking – I haven’t worn blue denim since my early teens, and I’m usually to be found in very black very tight skinny jeans. I’m not entirely in love with the cut of this cropped pair. The first pair sent was miles too big for me, and though the second pair fits fine on the waist, the legs just feel weirdly baggy to me. 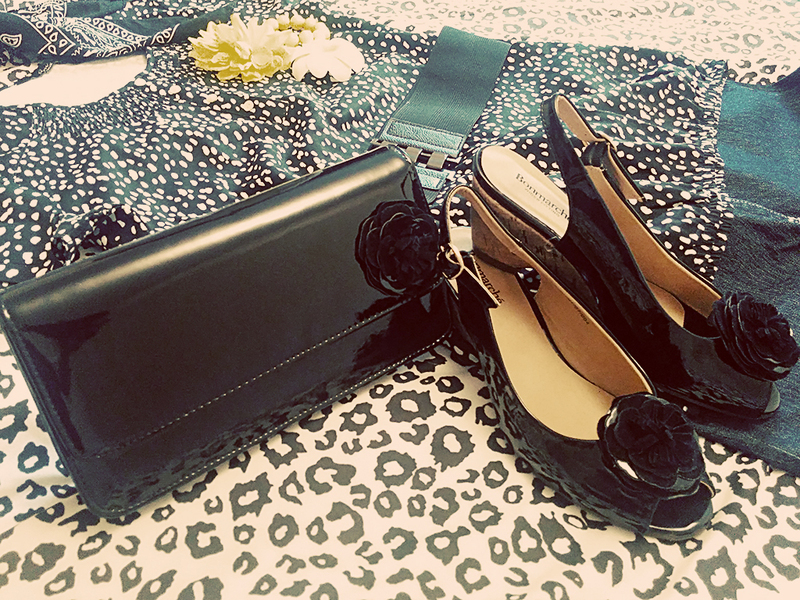 The shoes and bag are probably my favourite parts of this outfit, as who doesn’t love black patent accessories? These will go with so many things I already own, and I can see me getting a lot of use out of these throughout the summer of weddings and conferences I have ahead of me. The bright yellow flowers are from Claire’s Accessories and a shop in Las Vegas – they add a little bit of interest, and can be clipped into the hair or worn as a brooch or bracelet – whatever takes your fancy really. I think the big yellow beads were from Primark a while ago – Batman related dressup accessory, so you know. Will I be embracing blue denim? Probably not – old habits die hard after all! Did I have a lot of fun taking part in this challenge? Absolutely! A huge thank you to Yaya for choosing such a fun mix of items, and Bonmarché for letting me get involved. If you want to see the outfit I picked out for Yaya click here to visit her blog post about the challenge. This is actually the second outfit I selected for you, as the first one (and my favourite) had items that were unfortunately out of stock. I tried to go for a vintagey rockabilly vibe, and I’m really glad that the accessories will get a lot of use. Had a lot of fun working on this campaign with you!